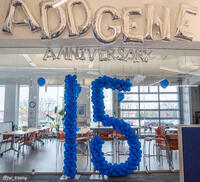 The last few months brought many milestones to Addgene: our 15 year anniversary last week and adding the final touches to our new office in Watertown, MA (check out our virtual office and lab tour!). In our new (and bigger) space, we’ll be able to bring more projects to the table. We now have the capacity to grow our virus production, carry out new reagent sharing and research projects, and continue to expand our educational resources. To learn more about how Addgene has grown in the last 15 years and what we have in store for the future, read Joanne Kamens's blog post, "Celebrating 15 Years of Scientific Sharing." We’re very excited to begin another year of scientific sharing! Our newly released Deposit Status page displays the real-time processing status of your deposit kit, plasmids, and MTA! Your deposit confirmation email will contain a secure link to access this page or you can find it in the My Account dropdown → My Deposits. Download our free Science Career Guide to learn about career options in science, mentoring and management, and applying for jobs. Our “Early Career Researcher toolbox” blog series can also help you find tools for your research and career. Find new videos on tissue culture, bacterial inoculation, and aseptic technique. 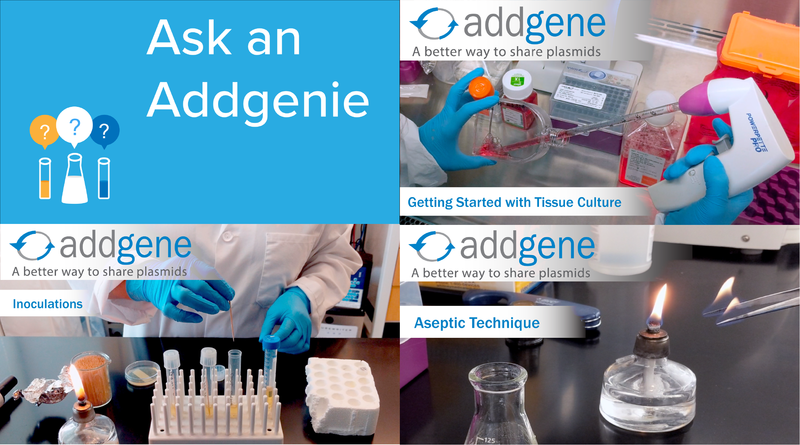 We’re also introducing the “Ask an Addgenie” series to answer our most frequently asked questions, discuss new items in the collection, and more. If you’re a grad student or postdoc using fluorescent proteins, apply for the Michael Davidson and Roger Tsien Commemorative Travel Awards by the February 15 deadline.